I’ve been meaning to do this for a long time and am very pleased with the result. I’ve always just tossed my sewing threads into a cookie tin, becoming entangled and easily misplaced. 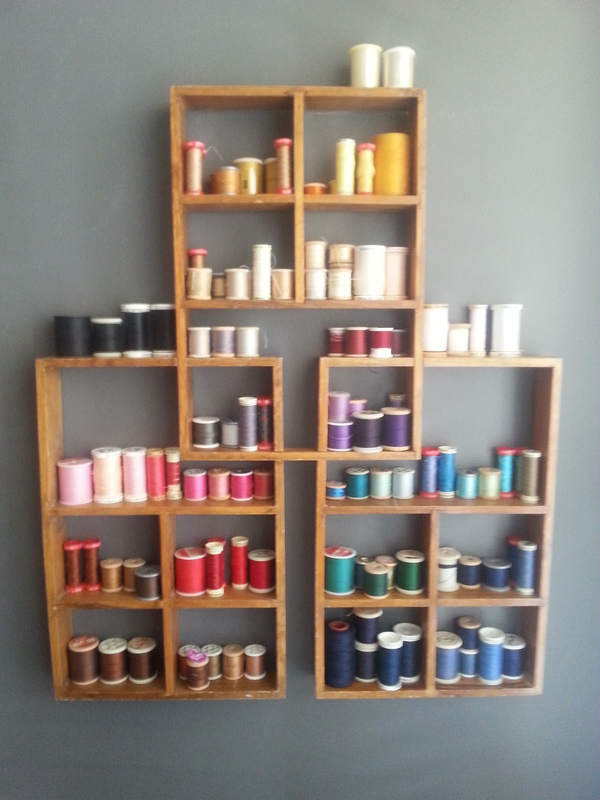 I find spools everywhere… not just in the tin! I’ve bought new ones not realizing that I already had that particular colour tucked away in some drawer or container. And it looks pretty spiffy in the corner where I have hung it on this little shelving unit that I found at a garage sale. So easy to pick the one I need now!